When Interior Decorator Madison Night accepts an assignment in Palm Springs with handyman Hudson James, she expects designing days and romantic nights. But after spotting a body in the river by the job site, she causes a rift in the team. And in the strain of recurring nightmares and a growing dependency on sleeping pills, Madison seeks professional help to deal with her demons. She learns more about the crime than she'd like thanks to girl talk with friends, pillow talk with Hudson, and smack talk with the local bad boys. And after the victim is identified as the very doctor she's been advised to see, she wonders if what she knows can help catch a killer. An unlikely ally helps navigate the murky waters before her knowledge destroys her, and this time, what she doesn't know might be the one thing that saves her life. 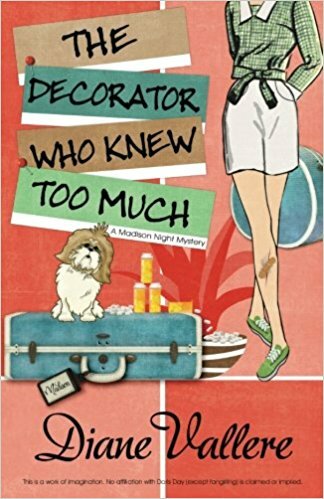 Madison Night is an interior decorator who specializes in Mid-Century Modern; not only in her business, but in her clothing. You see, she shares a birthday with Doris Day, and dresses pretty much the same as Doris did in all of her films. In other words, she's retro. She's so into Doris that she even named her dog Rock (as in Hudson). When she's surprised with a two-week getaway in Palm Springs with (and by) her significant other, Hudson James, what she expects isn't even nearly as close to what she gets. It first turns out that the vacation is going to be more or less working for Hudson's brother-in-law Jimmy, and they'll be staying with him and Hudson's sister Emma. But when they're run off the road by a speeding SUV a couple of blocks away from Emma's home, it at first seems to be just another jerk who doesn't know how to drive. But later that day when Madison decides to join Hudson at the job site, she sees something floating in the water, and is convinced it's a body. So the local police show up and find nothing, thinking it's just her imagination running wild, and it doesn't help that she cost Jimmy an entire days' work, which doesn't make him a fan of hers. But when the body eventually turns up farther down the river, it seems Madison was right all along, but that's only the beginning of the story. This is the fourth book in the Madison Night Mysteries, and a very good entry indeed. I will say that there was plenty of intrigue, secrets, and a good enough plot to keep me guessing until the very end. I will also add that while I enjoy Madison's quirks (dressing like Doris and really into the retro style), I didn't enjoy it as much as the others. Why? Because first, she's supposed to be on a 'getaway', but it turns out to be nothing more than a working vacation, and that's not a vacation (nor a getaway) at all. And what kind of romantic getaway has a couple staying with in-laws (which was the original plan)? I also wondered why she was there, since they hadn't even started building yet, and she's an Interior Decorator, so there didn't seem to be a use for her services. Nobody decorates a rock quarry; they didn't even have any groundwork laid. But these things aside, the book was an easy read, and one that was interesting enough to keep me reading in one session, which is a nice thing. There were some heavy issues to deal with in this book - Madison's nightmares, Jimmy's irrational dislike of her, and others, but they made the story more interesting, in my view. When the ending comes and we discover the reason why the man was killed it all comes together nicely and makes for a believable plot and a tightly wrapped murder, which is how it should be; and some secrets are better off not being shared at all. Although I felt there was more to the story to tell, it was still put together well enough to keep me reading the next in the series. Recommended. Autumn is in the air in the Blue Ridge Mountain community of Crozet, Virginia - and all the traditions of the changing seasons are under way. Mary Minor "Harry" Haristeen cleans her cupboards, her husband, Fair, prepares the horses for the shorter days ahead, and the clamorous barking of beagles signals the annual rabbit chase through the central Virginia hills. But the last thing the local beaglers and their hounds expect to flush out is a dead body. Disturbingly, it's the second corpse to turn up, after that of a missing truck driver too disfigured to identify. The deaths seem unrelated - until Harry picks up a trail of clues dating back to the state's post-Revolutionary past. The echoes of the Shot Heart Round the World pale in comparison the dangerous shootout Harry narrowly escapes unscathed. Next time, it may be the killer who gets lucky. But not if Harry's furry friends Mrs. Murphy, Pewter and Tucker can help it. Lending their sharp-nosed talents to the hunt, they'll help their mistress keep more lives from being lost - and right an injustice buried since the early days of America's independence. Harry Haristeen and her husband Fair live on a farm in Virginia along with their two cats, Pewter and Mrs. Murphy, and corgi Tucker. It's coming on autumn, the days are cooler and nights shorter. While attending the annual rabbit chase on a friend's land, the pack of beagles discovers the dead body of a man. While he's unknown to anyone, Harry does recognize what's around his neck: a chit from the American Revolution with the number 5 on it. Why he would have it is a mystery until Harry informs her friend Coop, a local police officer, that it came from a group of them owned by her friend Liz Turner, who has an antique store. When we come to the end and the killer is revealed, it is bittersweet closure; an end that was truly not expected and may change the lives of some of those in Crozet, Virginia; and leaving us looking forward to the next book in the series where we can visit with the past and the present together. Highly recommended. Mystery author Nathan Pike checked into South Cove Bed & Breakfast to compose a compelling novel, not commit murder. But things get real when a rival B&B owner ends up exactly like the victim in his draft - undeniably dead. As Nathan prepared to complete his magnum opus behind bars, Jill's the only one who can prove his innocence and deconstruct the plot of a twisted killer! Jill Gardner owns Coffee, Books, and More, a go-to destination for those needing that first cup in the morning. 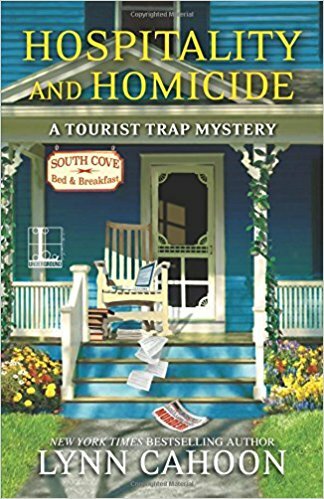 While life is never dull in the coastal town of South Cove, it's even less so right now for Jill, who's trying to juggle her store, obtain a business degree at a local college and the arrival in town of an author, Nathan Pike, who's come to write his next novel - a murder mystery - and tag along with the local cops. What Jill doesn't count on is the fact that Nathan is annoying and the cops - including her boyfriend Police Chief Greg King - doesn't want anything to do with him. While at a meet-and-greet for Pike at South Cove B&B, Jill notices Walter Knicely, a rival B&B owner but her attention is soon drawn away by the late arrival of Pike. After the evening ends when Jill and Greg are walking home, they see that her neighbor Esmeralda's lights are still on and wind up discussing a case about a boy, Thad, who went missing, swept away by a wave and is presumed dead. Esmeralda, a self-proclaimed psychic, is convinced he's still alive. While Greg doesn't like the fact she's seeing the parents, there isn't much he can do about it. On top of this, there's a new clock store in town, Killing Time, but the owner Ian doesn't seem to be very social; and her employee Sasha is leaving for a better job, which means Jill needs to hire another employee. But the big surprise for Jill is that Greg tells her his apartment lease is soon ending, and he wants to move in with her. For Jill, it's not that easy, considering she has a string of bad relationships behind her, so it gives her a lot to think about. Not too long after the body of Walter is found, and even though Jill is trying to stay out of this one considering everything else she's up against, eventually her natural curiosity gets the better of her and she begins making discreet inquiries. But will she be able to take what she's learned about Walter's past and keep it from getting herself killed in the future? 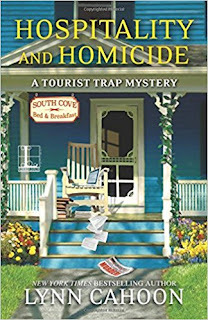 Once again, we have a delightful mystery set in the lovely coastal town of South Cove. While we are discovering the truth of Walter's murder we're also discovering more bits and pieces about its residents. The characters are vibrant and believable; they have flaws as real people do, and you can feel Jill's insecurity as she wrestles with the decision of whether to allow Greg to move in. But even the side stories are intriguing; not only that of Esmeralda, but with her aunt, Toby, Sasha, and the others; it is a real pleasure to be allowed into these characters' lives and spend time with them. As for the mystery itself, we actually have two: that of the missing Thad and Walter. While you're rooting for the safety of Thad, you're searching for a murderer, and that is where the tale becomes captivating. There are more than one red herring; what seems to be the easy answer isn't; and things aren't always what they seem. 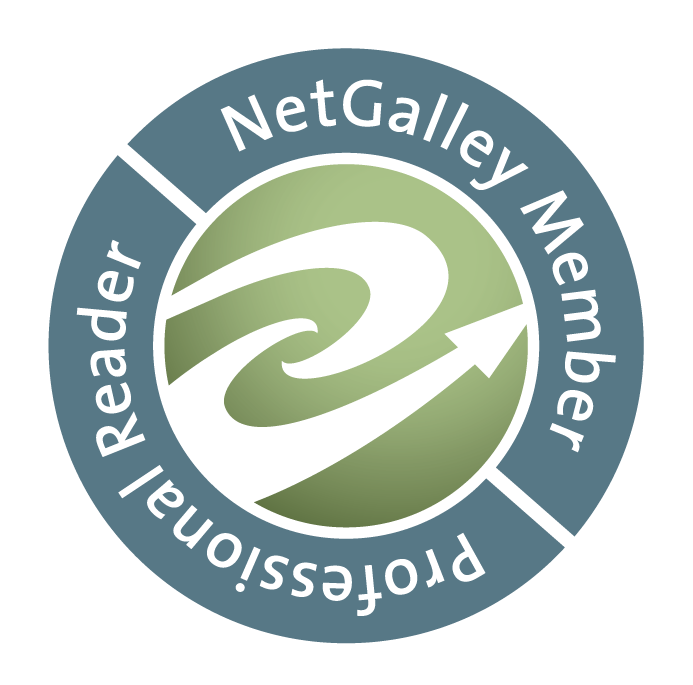 Ms. Cahoon has an ability to create new characters and tie them into the story seamlessly, and thereby creating a delectable storyline of merging the new with the old. It is a book that kept me reading to the end late into the night (Thanks, Lynn). When we finally come to the end and discover the murderer, it is a sad testament to the fragility of the human mind; both sad and twisted at the same time. We have another winner from the author and I look forward to many more. Highly recommended. Paranormal museum owner Maddie Kosloski has the perfect exhibit for the harvest festival - a haunted grape press. But when she's accused of stealing the press, and her accuser is murdered, all eyes turn to Maddie. Knowing the perils of amateur sleuthing as she does, Maddie is reluctant to get involved...until her mother insists she investigate. Maddie Kosloski owns the Paranormal Museum and is exhibiting her newest acquisition, a haunted grape press, at the harvest festival. 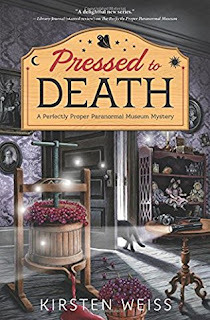 But when local police detective Laurel Hammer shows up at her museum and insists the press is stolen, Maddie is going to have a problem, since Detective Hammer wants to take the press in as evidence. Then Maddie goes to the festival with her mother to help out, and while doing so manages to discover the body of Romeo Paganini, the man who accused her of stealing his press. While she is high on the suspect list, it doesn't completely rule out anyone else, including her friend Adele Nakamoto, who was seen having an argument with him, nor even his wife Jocelyn and son Leo, who works for Maddie. This book appeared to have all the right elements for a great mystery - paranormal museum, ghost detecting cat, curses, etc. ; unfortunately it fell short in several areas for me. While I enjoyed the historical aspect (the haunted grape press and its history), I didn't much care for the direction the story was going regarding Maddie and Mason. It seemed too easy of a cliché; too convenient all around. Not to mention the fact it rather paints the ex-girlfriend as a master manipulator and/or liar, and Mason as an imbecile for accepting things as fact without proof - but those are my opinions. I also didn't like Detective Laurel Hammer at all - she has a personal grudge against Maddie that seems like harassment. I didn't understand how she could remove the grape press - without a warrant - on hearsay. Yes, hearsay. Maddie had a receipt signed by the wife, but Romeo only said it was stolen - without proof except him saying so. I would think Detective Hammer should have gone back to him and told him everything looked legal and it was a matter for the courts to decide. As it was, it made Hammer totally unlikable and appearing to carry a personal vendetta using any means possible. But I didn't allow these things to color the rest of my enjoyment with the book. As stated above, I really liked the paranormal aspect, but felt it pushed aside because of those things mentioned. I also would have liked to have seen some sort of connection between GD and Maddie, but perhaps she'll grow on him in future books. I did like the friendship between Maddie and her two best friends; there's an obvious fondness for each other that is nice. It was nice to learn a little bit about wine making, and as I stated above, I did like the historical aspect. When we come to the ending and the murderer is revealed it made a pretty good mystery all around. There weren't any big revelations, as I felt the clues were there all along, but it was put together well and everything came together nicely. Recommended. 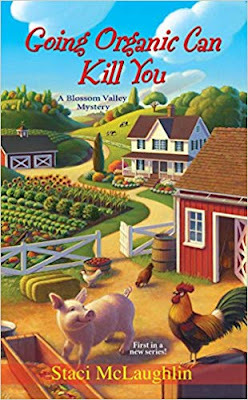 After the dead body of a beloved Cottonwood resident is found tangled up in an electric fence, Sheriff Kenni Lowry has a hunch that somethin' ain't right. 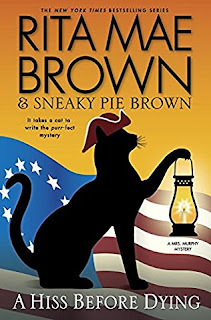 Her investigation heats up with a fierce cook-off competition, a euchre game where the intel is sweeter than the brownies, and a decades old family recipe that may just be the proof in the pudding. The icing on the cake: Kenni is fighting an attraction to her recently sworn-in deputy sheriff, and election season is hot on her tail. When the killer comes after who she holds most dear, even her poppa's ghostly guidance might not be enough to keep her and her own out of the frying pan. Kenni Lowry is sheriff in the small town of Cottonwood, Kentucky. She's just gotten a call that a dead body has been found in the greenhouse of the town's only florist, Myrna Savage. When she arrives, she sees that it's Owen Godbey, a local who's been working as Myrna's delivery man, and she's none too happy about him falling dead in her prize-winning tomatoes. After checking out Owen's body with the help of her deputy Finn, it's her Poppa's ghost that tells her it looks like he was electrocuted with barbed wire fencing. What Kenni does find out is that Myrna and Owen were in a heated rivalry regarding a cook-off competition, and that Myrna had recently fired Owen. While it might land Myrna at the top of the suspect list, Kenni doesn't believe she did it, and finds that the key might lie in Owen's mother's recipe book, which held a highly guarded secret okra recipe. It seems more than one person wants to get their hands on the book; and when it's discovered that Owen was not only electrocuted, he was poisoned as well, Kenni knows she's after a killer who might not stop until the book is found. Unfortunately, there is a host of suspects doing their level best to lead her down the wrong path, and if she doesn't stay on the right one, she might just find herself next in line for murder. 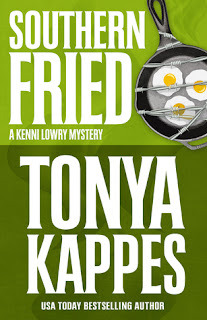 This is the second book in the Kenni Lowry Mysteries, and I was both surprised and pleased to see that it began right where the previous book ended, with Kenni and Finn leaving the Cottonwood Festival and heading out to look at a dead body. It's not often we see mysteries in such a continuity, and it is refreshing, not only for the timeline, but because it brings back recollections from the first book as if we have read it only recently. This time out, we not only have the murder of Owen to deal with, but also Kenni's growing attraction to Finn and her Poppa's displeasure of the fact. While she's telling herself (and her ghostly grandfather) that she has no intention of getting involved with her deputy, she's finding that everyone in town (including her mother) has them paired up already regardless of how she denies that fact. Cottonwood is peppered with characters who are amusing and prone to gossip (which is how Kenni manages to get much of her information, so that's a good thing); they are people who are deeply rooted in the southern way of life, which puts good manners above all and regard for one another...while they're filing away information about you for later use. This is a town filled with a lively populace whose individual quirks are indeed fun to watch. At the end, when Kenni finally puts it all together and finds out the real reason Owen was murdered, it's a story of twisted loyalties, lies, and greed that comes together in a well-written tale, one that kept my interest throughout and came to a satisfying end. The story was funny and fast-paced, and I look forward to the next in the series. Highly recommended.